1) Boil honey for 5 minutes until it becomes more of a liquid consistency. 2) Stir in peanut butter, butter/coconut oil, and vanilla. Pour over popcorn and stir. 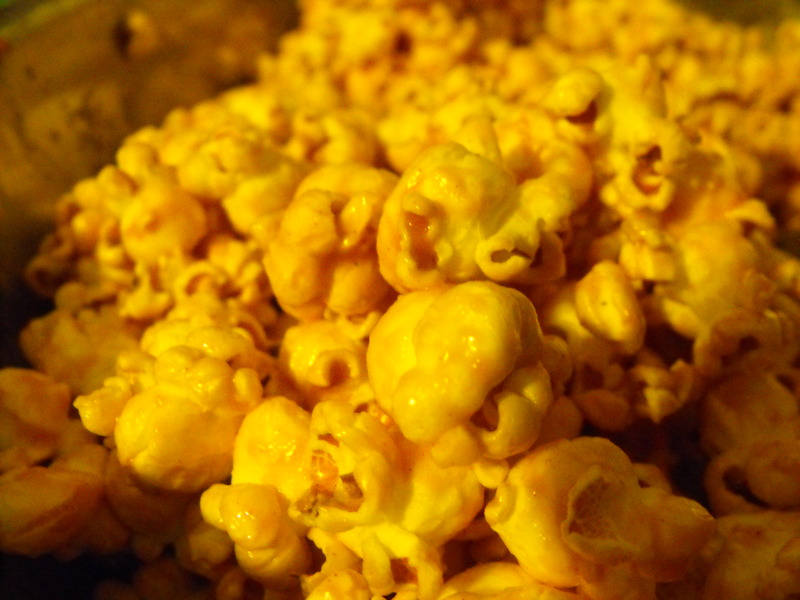 *If you want to pop your own popcorn first, you’ll need 1/2 c. unpopped corn kernels & 1 tbsp. vegetable oil in a heavy bottom pot. Shake the pan over medium-high heat until all kernels are popped. Put them in a bowl and set aside. Next Stars in the Dark: A Perspective Change.